Why are there spots on my picture? | Stop Shooting Auto! ← Homework Assignment… with a prize! Why are there spots on my picture? You might notice it in the blue of the sky or the white of a wedding dress. Maybe, as often happens with me, it’s the petals of a flower. Whatever the image, someday you’re going to look closely at a picture and see that it’s full of little spots. These often look like little dark spots ringed by a color that’s slightly lighter than the background, and they show up in the same place on every picture you take. These spots usually come from dust on your sensor. You won’t see them too often at large apertures, but when you stop the camera down they start to become visible. They particularly stand out in areas that have large expanses of a single light color, but you can often see them in other areas of the image as well. This flower was taken at f/32, which as we all know is a very tiny f-stop. 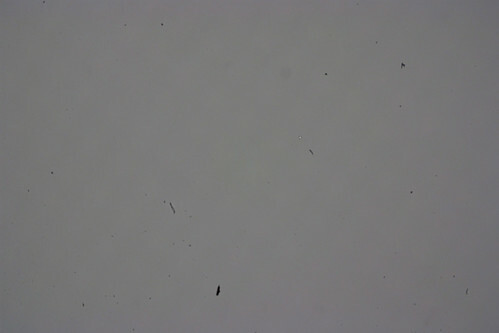 It’s not a great photo, but because of the small aperture it shows every little piece of dust on the sensor. You can’t really see it at the small size, but if you were to look at the full-resolution image you’d see lots and lots of little bitty spots all over the photo. 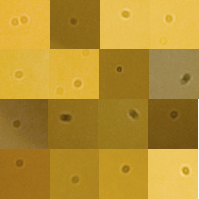 On the right is a collection of full-size crops taken from the same image. These spots become highly-visible and quite annoying when the image is enlarged. There’s an easy way to test to see if you have noise on your sensor. Find a brightly-lit white or light-colored wall, or a piece of plain white paper. Set your camera to manual mode, shutter speed of about two seconds, and the smallest aperture your lens will do. Point the camera at the white surface and take a picture, moving the camera around just a little bit so that the background becomes blurry. Transfer the image to your computer and look at it full-size. Chances are good that you’ll see at least a few little specks, and if you’ve never cleaned your sensor before it may be pretty bad. This image originally came from Flickr user djwudi, and I thank him for allowing me to use it. He works in a camera shop, and a customer came in complaining about spots on his photos. This is what the sensor looked like at f/32 before cleaning. I’ve personally never seen one this bad, but dust can start making your pictures ugly long before this point. My procedure for changing lenses is to turn the camera off (though sometimes I forget), then take the rear cap off of the new lens and get it ready to go. As soon as it is, I point the camera straight down, remove the lens, and put the new one on as quickly as possible. I then put the rear cap on the old lens and store it in my camera bag. Do you have dust? Don’t worry! Here are SSA!’s instructions for cleaning your sensor. Sensor dust is an huge annoyance, but once you realize your problem there are plenty of steps to adjust for the issue. Your sensor cleaning post is good and illustrates how you can remove the dust from your sensor to yield cleaner shots down the road. More cautious photographers should know that being aware of backgrounds and aperture settings can help reduce dust impact until you are able to clean the sensor more thoroughly. Here are some further details for that approach as well as post processing fixes for dust spots. Thanks again for both posts. Photoshop or Photoshop Elements will allow you to do this, as will most photo editing programs. Thanks for the post! I just got my camera (Canon Rebel Xsi,) and bought a new macro lens for it. 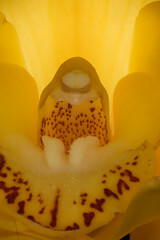 I never had problems like this, but when I use my macro lens I do. When I look at the lens, there appears to be a tiny hair IN the lens. It can’t be wiped off from the front or back of the lens. Is that even possible? Could there be something INSIDE the lens? If so, what do I do about it? Should I return the lens? Sorry I didn’t get back to you sooner, but I just found this comment sitting in my queue. This happens sometimes. The thing I would recommend is to stop the lens way down and take a few pictures of solid color surfaces, then see if the hair is visible in the photos. If it is, you can send the lens off for service. If it’s not visible, don’t worry about it.